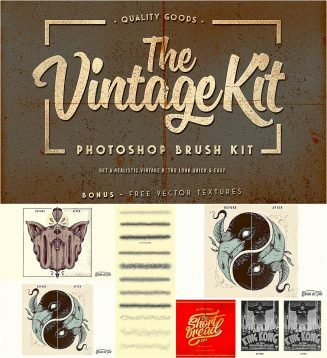 The kit has 44 brushes that include large texture brushes, paper folds and edging brushes as well as some stipple, noise and grit brushes that have been set up perfect so there is no repetitiveness in the brush strokes. File format: .abr for Photoshop or other software. 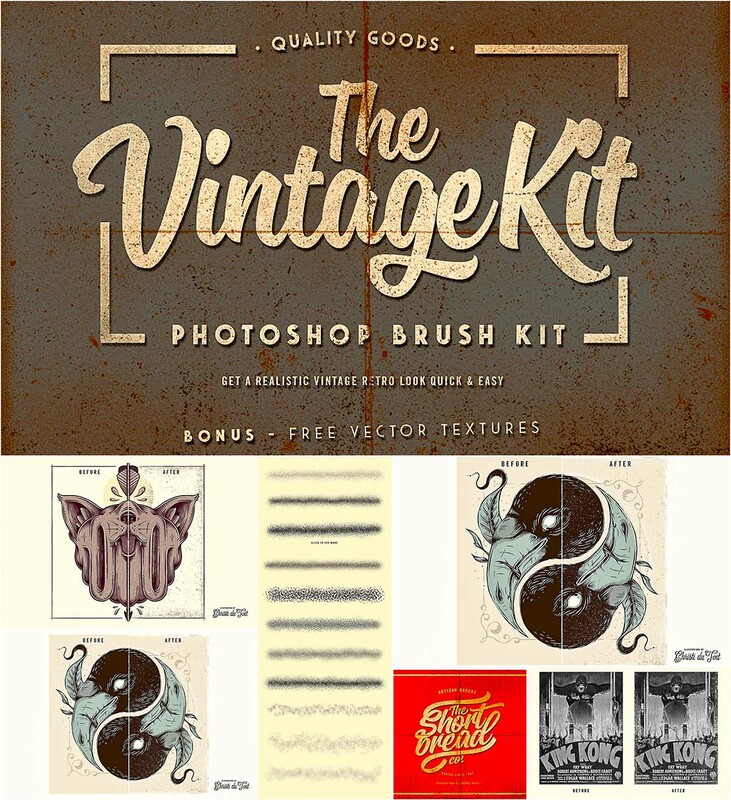 Tags: brush, dirty, noise, retro, rough, textured, vintage brush.